Love these photos! Is there a trick to getting the lobster “head” to float there? What was the biggest challenge to the shoot? Merci! The lobster head “floated” because of all the vegetables and chicken parts under it. It just kind of happened that way. That is why we took the shot. It seemed so pretty. The biggest challenge of the shoot was getting the proportions right for the pan size. I like to write accurate recipes. The taste was phenomenal. Thanks for your comment. Hi Dorette. David Bishop here. 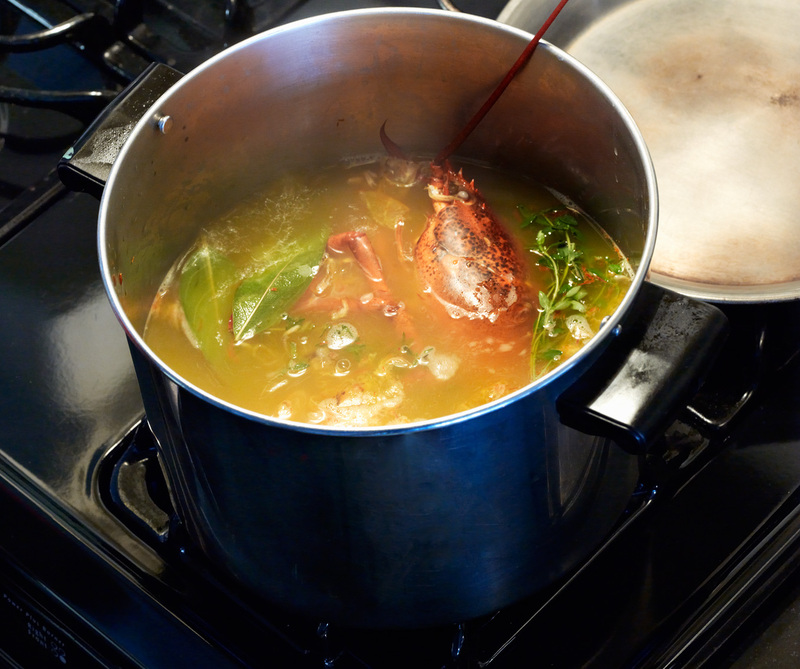 I had to giggle when Marilinda responded that the lobster looked pretty in the pot because everything she makes is always such an inspiration to me. Im a very lucky boy to shoot with such an amazing talent such as Marilinda. 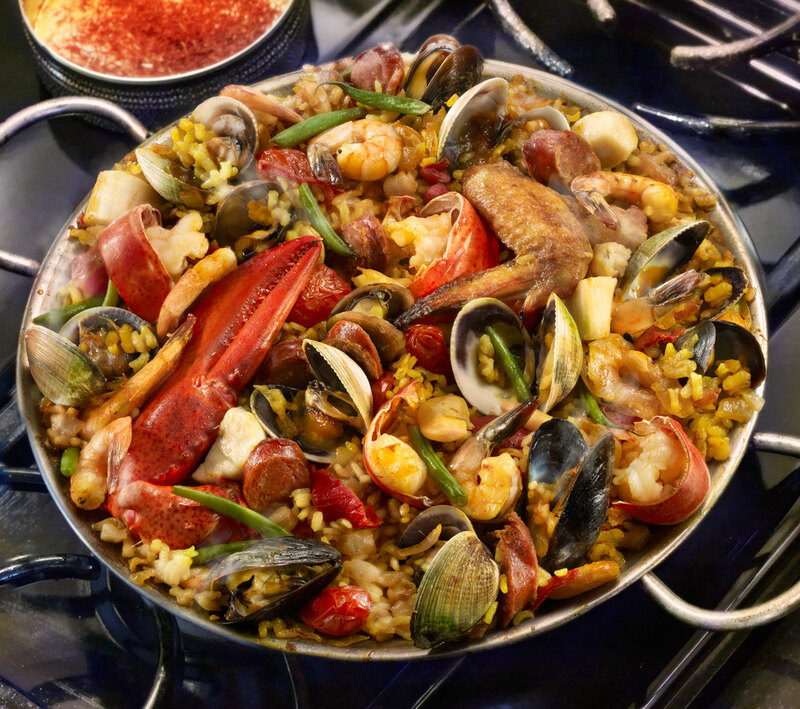 The most challenging part of this particular shoot for me was to keep my paella grubbing fingers away from the food until we finalized our shoot. Bad boy photographer! Thank goodness we work so well together. I am glad you both work so well together. And I must say the shot certainly IS pretty. And I can imagine the challenge in not consuming said Paella before the shoot is complete. It is so thrilling to chat here, thank you so much for replying. As a chef and a writer I know it is not always simple. Doing research for a novel where a food stylist is the main character and wonder if I might run some questions by you regarding working as a food stylist and a photographer team. If you’d like you can read an earlier post about the project on my blog. Again merci for your time and style. ps I grew up going to Ocean City NJ too — do you remember the Flanders Hotel and Copper Kettle Fudge? Many thanks Dorette for your very kind compliments. They are always appreciated.